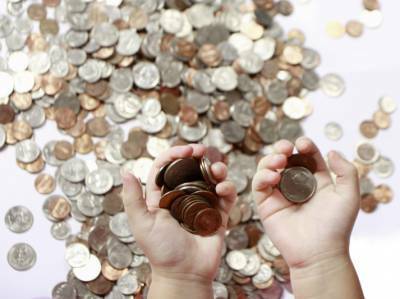 Should You Open a Bank Account For Your Children? To open a new bank account for your children is a great idea, but only if you are going to use it properly. It will introduce them to the concept of saving, and it will teach them about interest. Don't let the money just sit there, though. Make sure they are actively involved with their account to make the most of this learning experience. Saving money is a skill and habit that even adults struggle with. It is never too early to help your child get into the habit of putting money away on a regular basis, whether it is monthly or weekly. The sooner they become comfortable with the idea that not all the money they receive or earn is to spend, the better off they will be in the long run. Why is saving early so important? It all comes down to interest and, more specifically, compound interest. Show your children that by saving money in the bank then they will actually be generating more income through interest. Check the account regularly, and demonstrate to your child that the interest from one month actually gains more interest the next. Starting them early on this lesson of passive income earning will benefit them down the road. Plus, keep in mind your own retirement savings. When was the last time you said to yourself, "I wish I had started saving for retirement later rather than earlier?" Learning that the early bird gets the worm when it comes to saving is a valuable lesson for your child. Finally, keep in mind that opening the account is not enough. You need to actively manage that account with your child in order for these life lessons to truly sink in. Make sure they come with you to the bank to deposit money or log on to their online account with you, so that they see savings is a habit that is done regularly. Additionally, review the statements monthly with them so they see the interest being generated. If the account has Internet banking, this can be done through Money Dashboard free budget software, which will allow your children to see what they are spending their money on and teach important lessons about budgeting. Don't let the passive income earning be so passive that the lesson is lost. Regularly point out to your child how their wealth is beginning to grow.